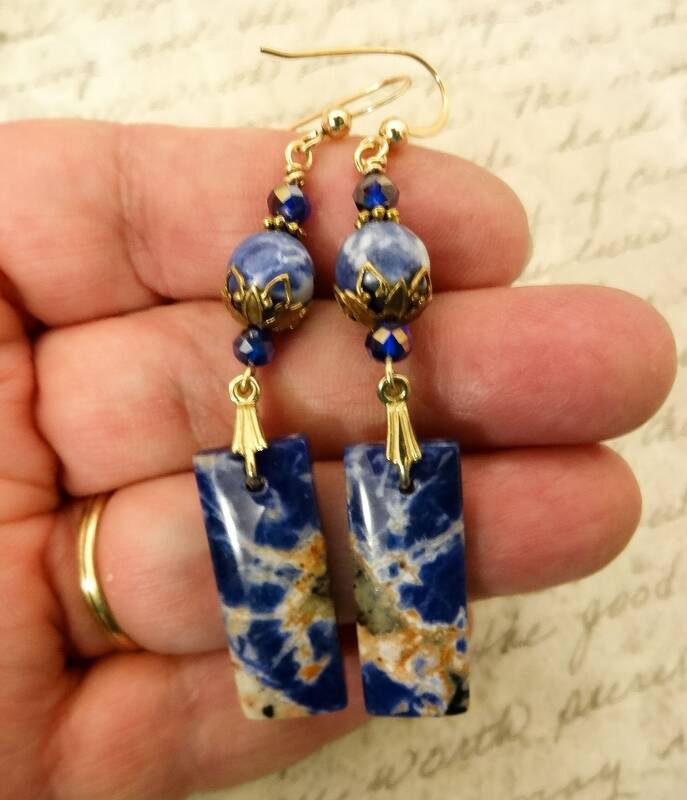 I have a few of these sodalite gemstone sticks - they're about an inch long and 5/16 of an inch wide. 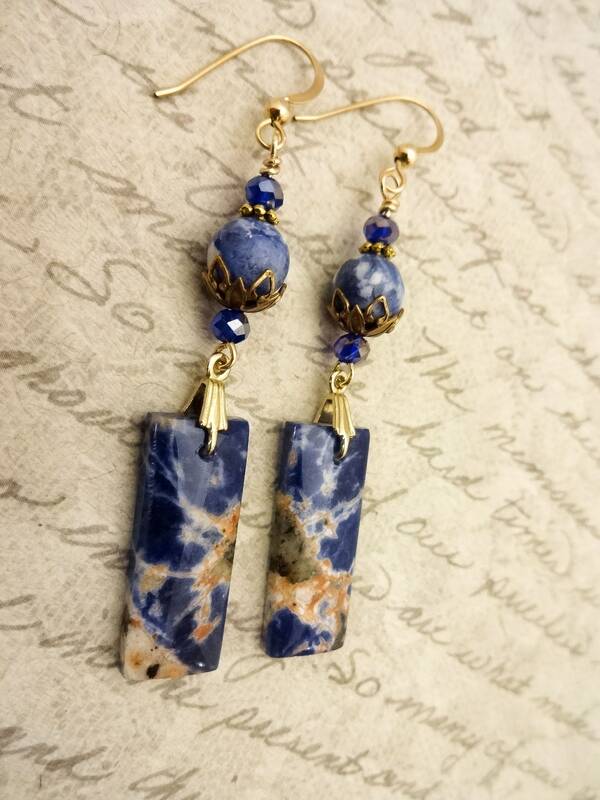 These have orange inclusions and are called Orange Sodalite. 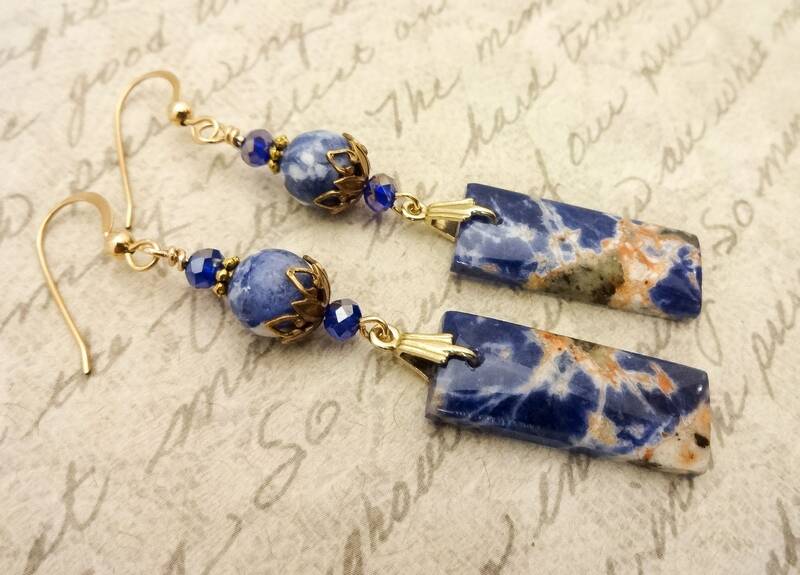 I paired the sticks with 8mm rounds and blue crystal rondelles. 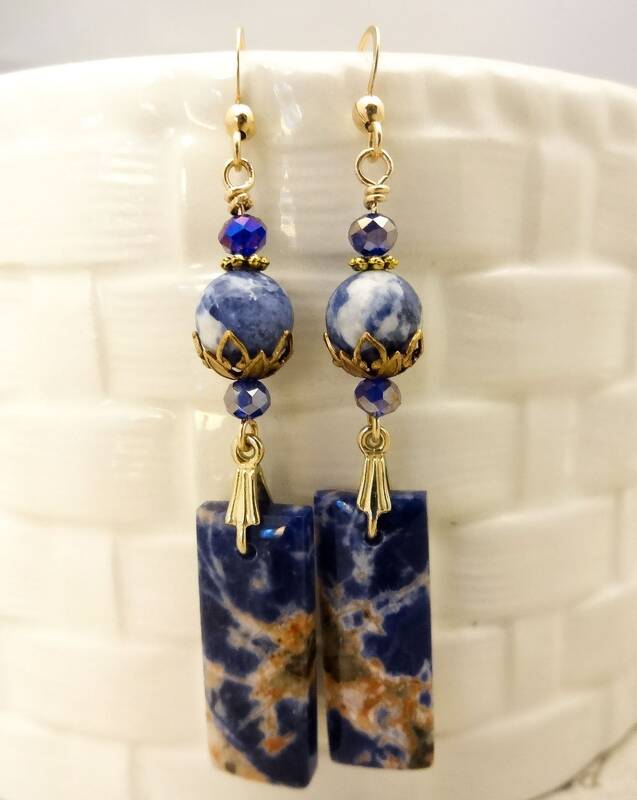 An antique gold beadcap cups the round bead and a gold bail attaches the top section to the sticks. 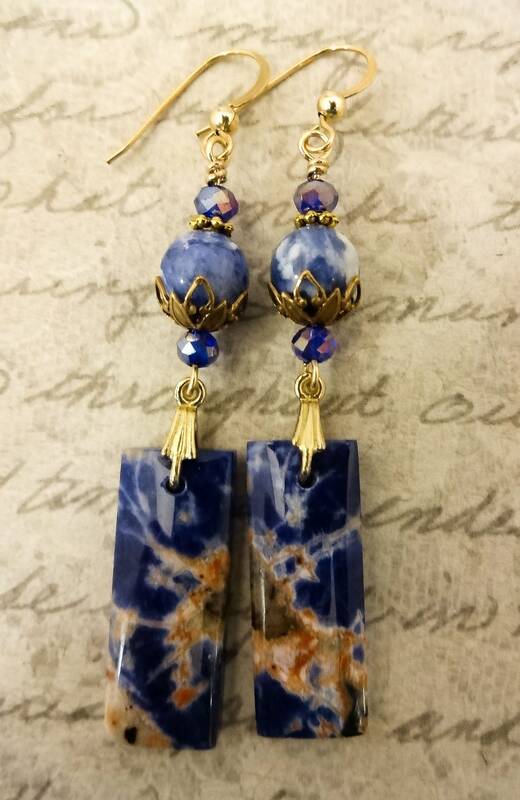 Then I used 14k gold fill wire and gold plated pewter daisy spacers. 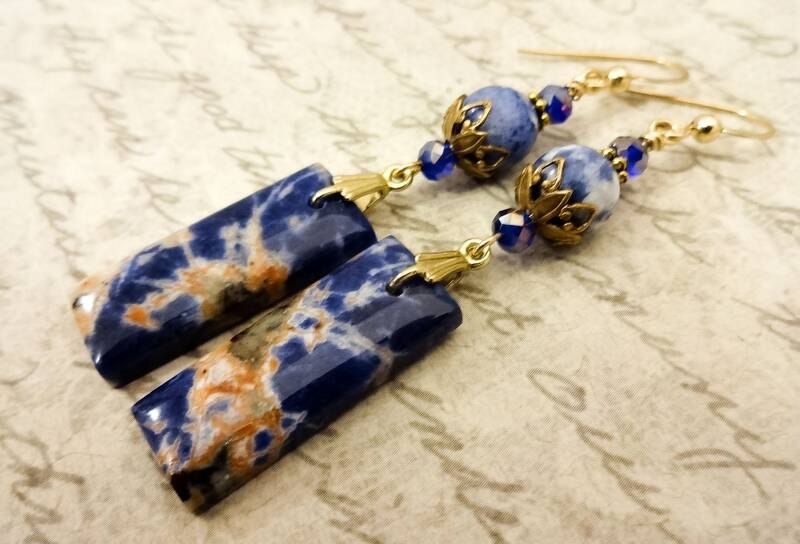 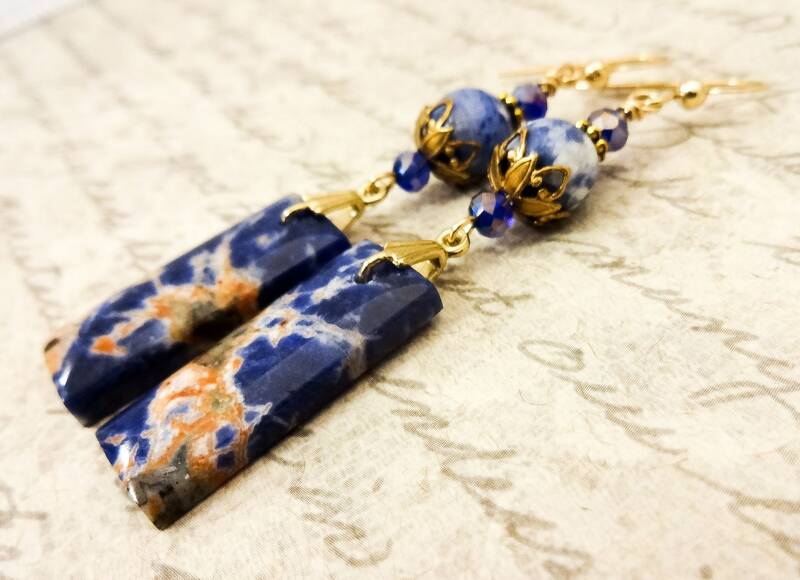 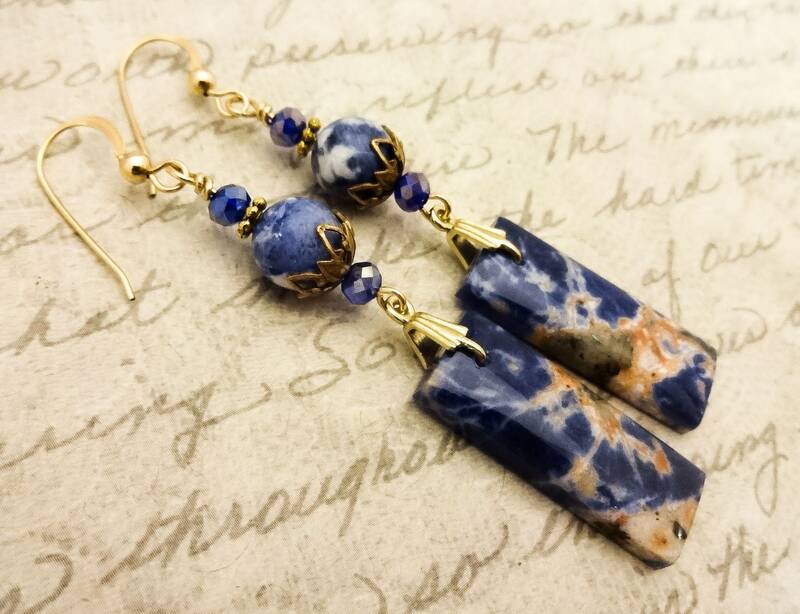 If you love long, natural stone earrings and you need something to go with your navy blue suit or your favorite pair of blue jeans, these might be the earrings you've been waiting for. 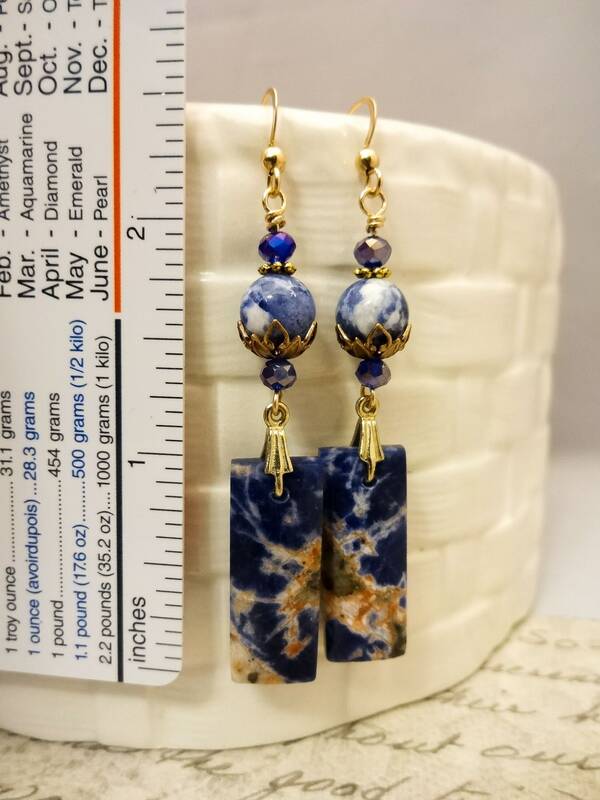 14k gold fill French Hook ear wires are shown, but I also have leverback and 4mm ball post styles. 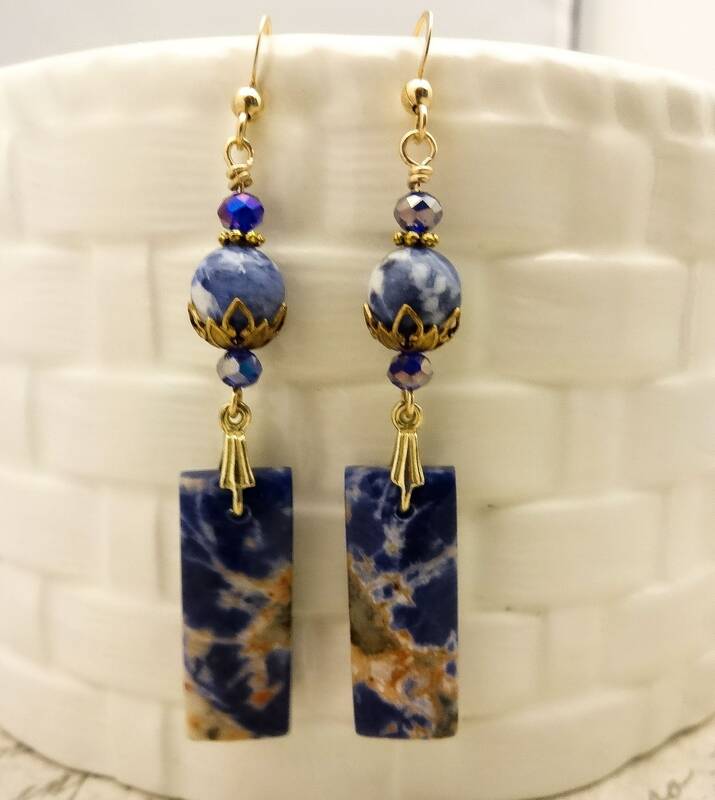 Message me if you'd like one of those other options.